The long awaited fresh up of the MRCL race track has been a half year, give or take, yourney since the decision was made at the MRCL annual general meeting 2017. 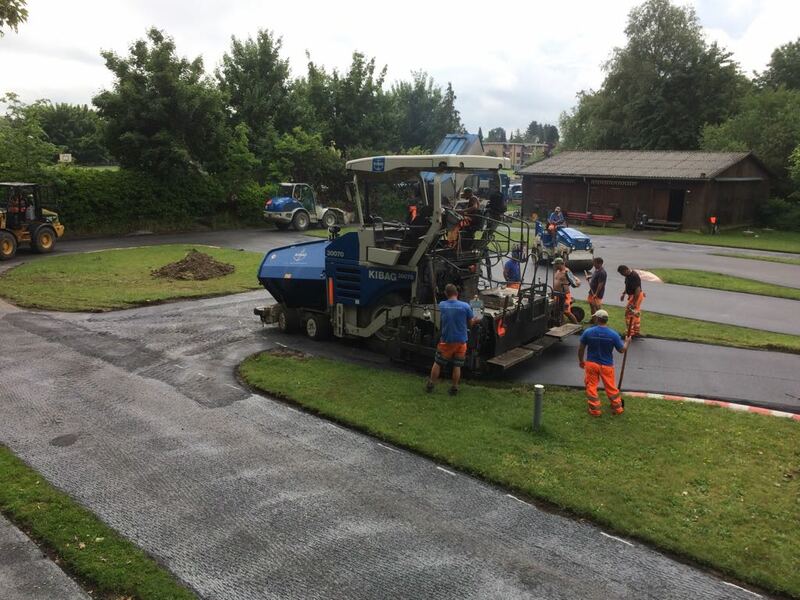 It all started in the late 2017 with the crowd funding campaign (http://www.mrcl.net/index.php/150-unsere-rennstrecke-benoetigt-einen-neuen-deckbelag), which was a way to finance the renewal of the track and the surroundings. The renovation of the stairs up to the drivers stand. 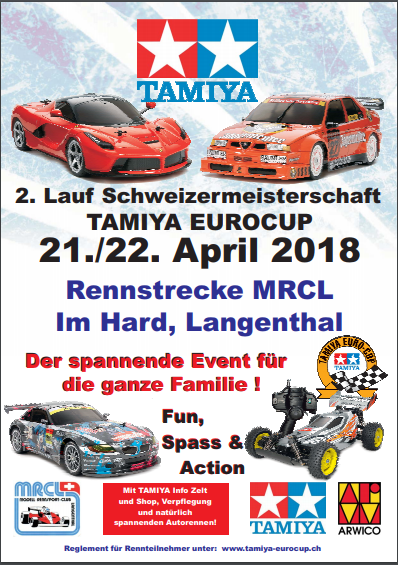 The third weekend of April 2018 (21st to 22nd), the MRCL was honored to host the second race of the Tamiya Euro-Cup series 2018. 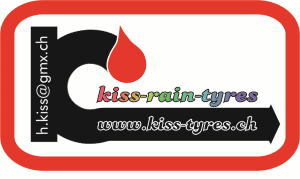 The results of the races are to be found at the following link: http://www.myrcm.ch/myrcm/main?pLa=de&hId=arv&dId[E]=37583&pId[E]=1#.